GIME Education | Teaching individuals how to achieve their ABSOLUTE BEST! The Garcia Institute of Modern Excellence prides itself in teaching individuals how to achieve their ABSOLUTE BEST! 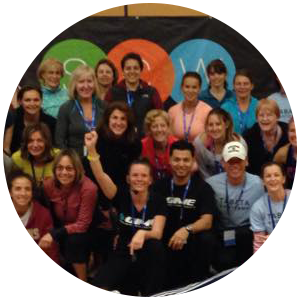 We are a continuing education provider for ACE, the American Council on Exercise and SCW Fitness Education. GIME is a proud presenter of…. GIME CCRT™- The Metabolic Connection to Healing! Knowledge is power when it’s applied. Learn how you can make living well a practical part of your everyday life. We hope to see you at one of these events, and keep an eye out for additional specialty workshops offered throughout the year! Customized Cell Regeneration Training is your connection to accelerating the healing process for yourself and your clients! This restorative health coaching course will offer you an in depth look into your personal cellular health and teach you how to implement specific steps of healing into your life and business practice! SCW MANIA® is more than just a 3-Day Fitness Convention held in 8 cities across the U.S. every year – it’s the place where the fitness community goes to be educated, inspired and recharged! 15 sessions every hour, featuring over 70 world-renowned fitness educators at each conference leading over 200 sessions on every topic imaginable! GIME prides itself in offering authentic education that provides solutions to your most frustrating health concerns. Join us monthly for critical workshops that are designed to help eliminate pain, body fat, fear and frustration! Where is GIME in 2019? Email info@gime.us or call 352-428-6368 to learn more about or education opportunities.